We open doors. When content creators encounter obstacles like standards compliance and learning management system compatibility, we look at that closed door and think, “Open, sesame.” When elearning consumers despair at the thought of meeting with company after company to find just the right course, we think “Open, sesame”. We are OpenSesame, and we are building killer technology to bring elearning buyers and sellers together in an easy-to-use marketplace. 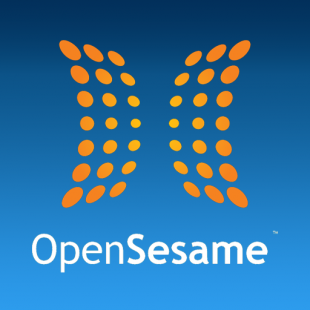 OpenSesame is our name and our philosophy. We are an open marketplace, where all buyers and sellers are welcome. We do not discriminate among e-learning tools. Use any course creation tool or learning management system that works for you. We do not pick and choose participants in the OpenSesame marketplace. We created transparent systems for ratings and reviews to enable users to evaluate courses. For elearning customers, our marketplace will make shopping for courses as simple as shopping for music on the internet. Shoppers can search our catalog by course subject, author, length, difficulty and special features. When they’ve found something they think they like, they can preview the course to make sure it fits their needs. For elearning authors, these web-based sales opportunities will enable content creators to reach new audiences and supplement their project-based revenue. We are OpenSesame because we believe the doors to education should always be open. We are proud to unlock elearning by creating connections. Join our community of learners by buying or selling an elearning course today.